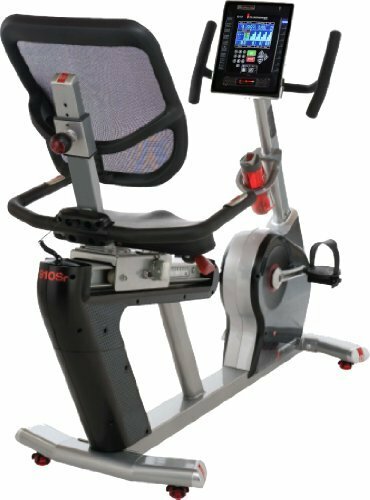 Diamondback 910Sr recumbent exercise bike utilizes a bright blue LCD display for a high contrast view of all your workout information. The 3.5mm headphone jack offers the ability to play your own music through the built-in speaker system.It has built-in Media Center holds your iPad, iPhone or iPod and charges it during your workout. It also holds other mp3 devices, most can be charged via the USB port. Dimensions (assembled): 64″L x 23″W x 50″. ToughTrain 3.5 out of 5 Have nearly same feature as 910 Ic except its recumbent nature. *Note: Most of the sites, stores or shopping portals listed above sell Diamondback 910Sr Recumbent Exercise Bike with discounts and other exciting offers. There is a possibility that the some of above websites are not selling Diamondback 910Sr Recumbent Exercise Bike now. Toughtrain.com is not liable for such cases or instances. Also we do not recommend any seller for Diamondback 910Sr Recumbent Exercise Bike and a buyer should buy from where he/she gets best deal with quality of products, service and on time delivery (shipment).